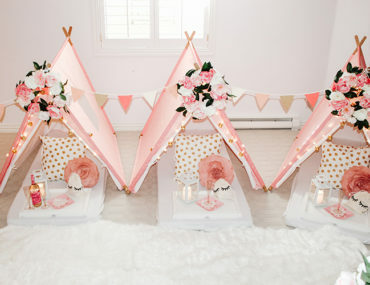 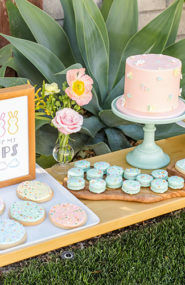 With a business name like The Confetti Studio, you can imagine this party planner’s baby shower was creative and then some! 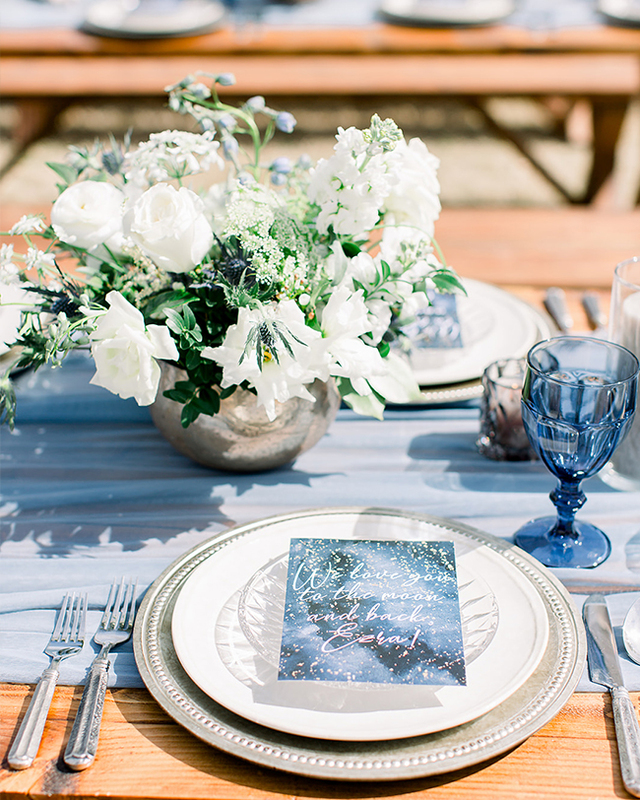 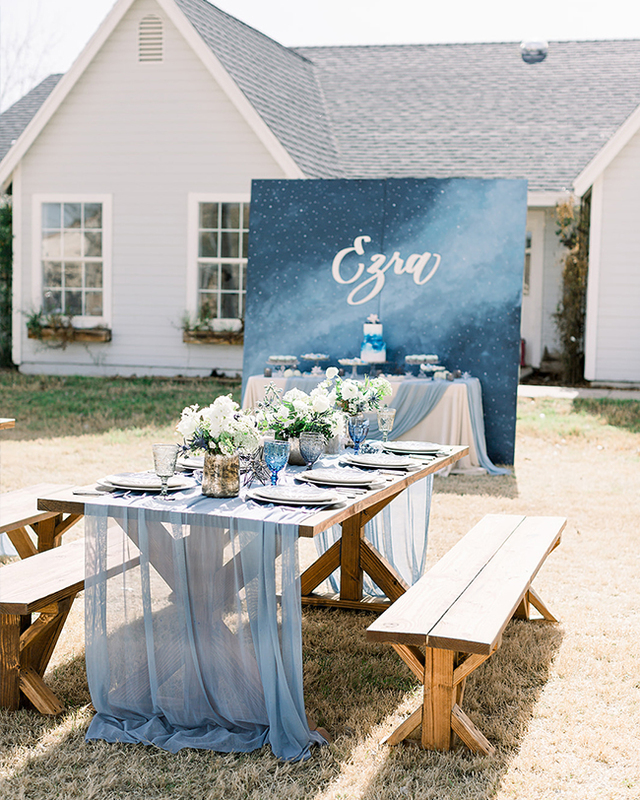 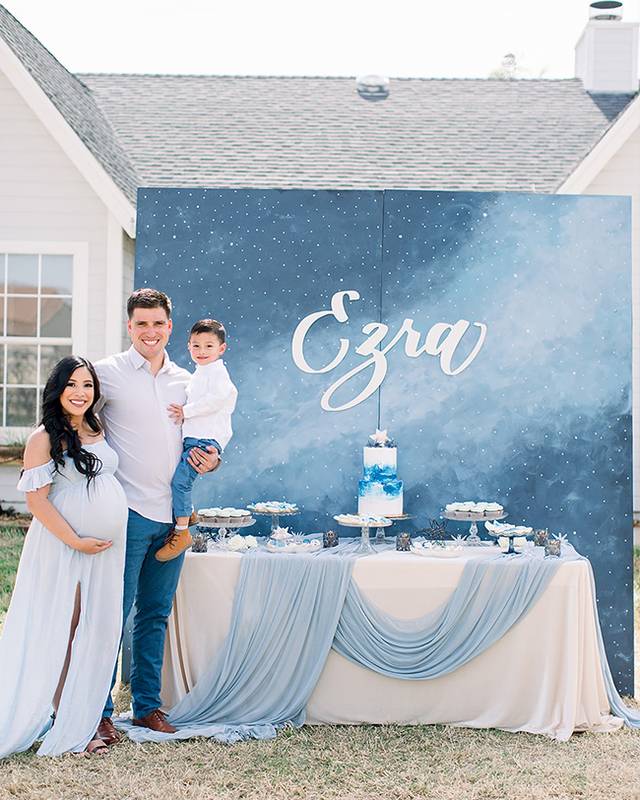 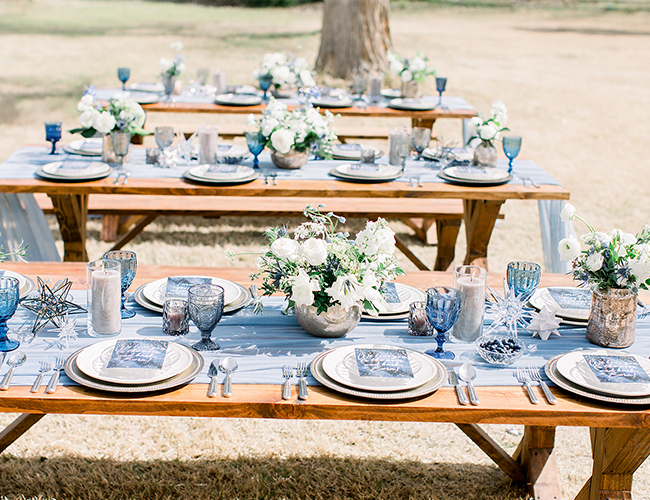 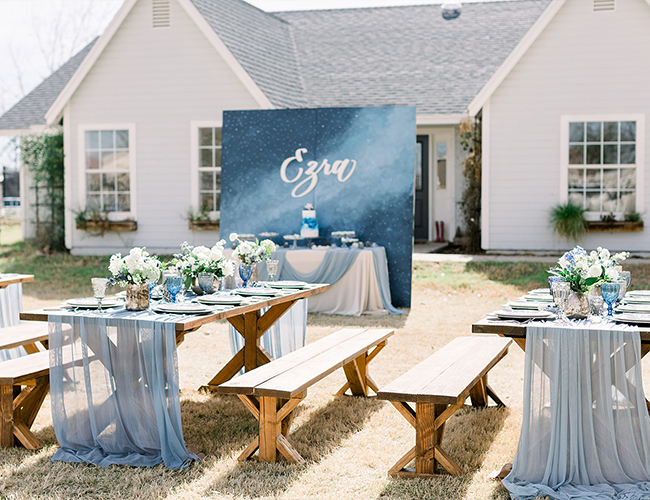 To celebrate the mama’s second baby boy, they went with a star themed baby shower in galaxy blue. 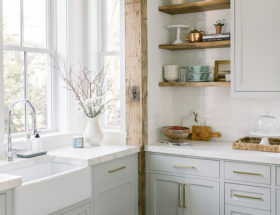 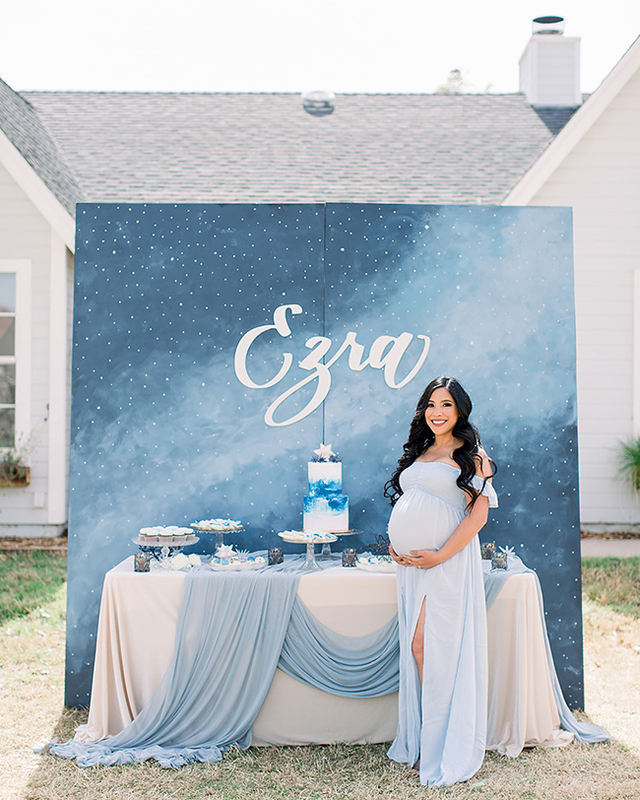 Her first son, played a major role in the theme choice thanks to his love of “Twinkle Twinkle Little Star.” You may have seen other fun showers themed after the popular nursery rhyme here and here, but every one is different and features its own unique details. 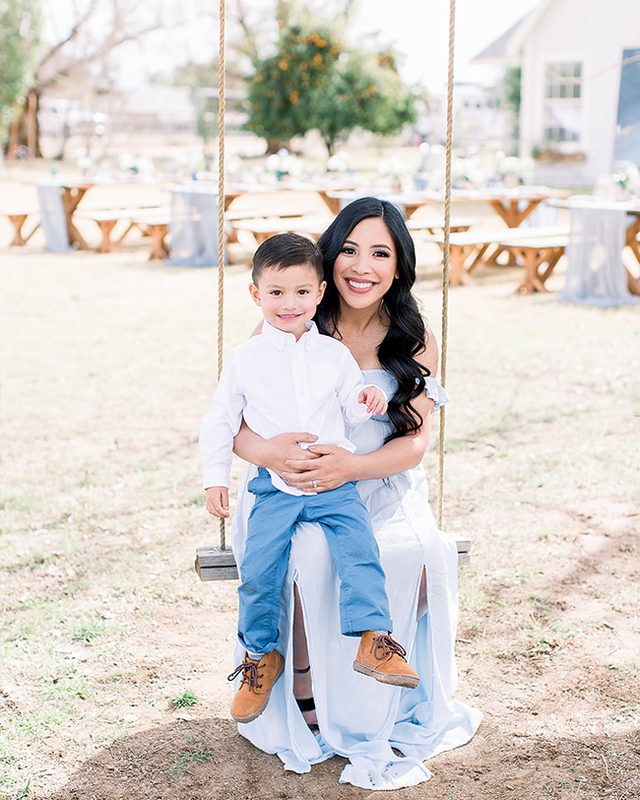 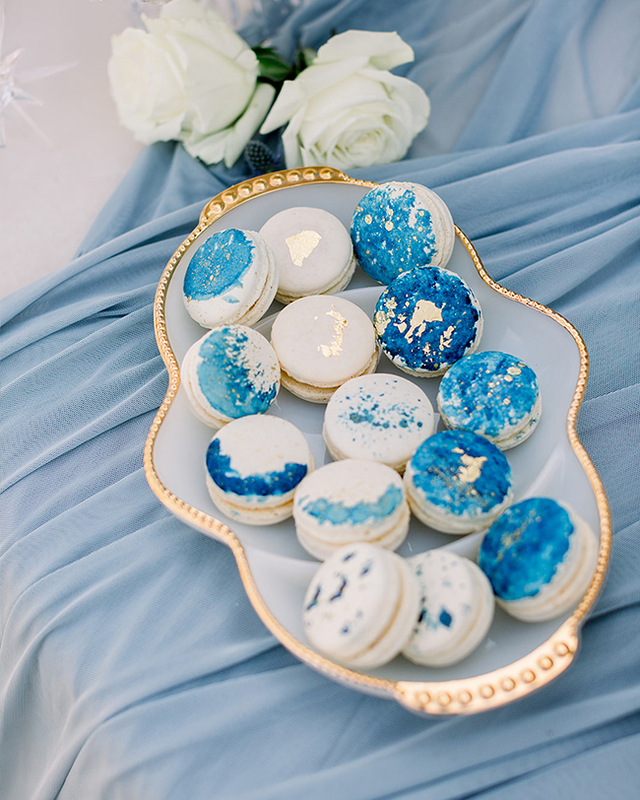 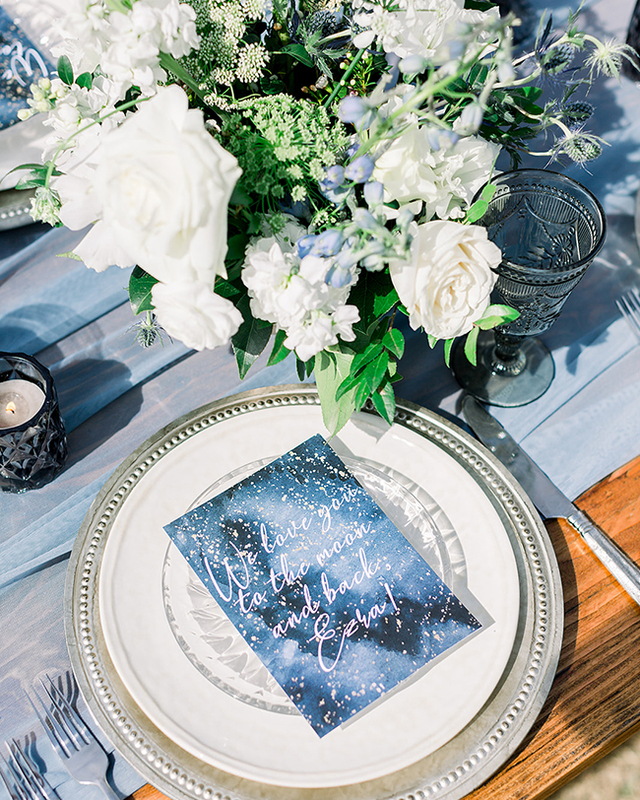 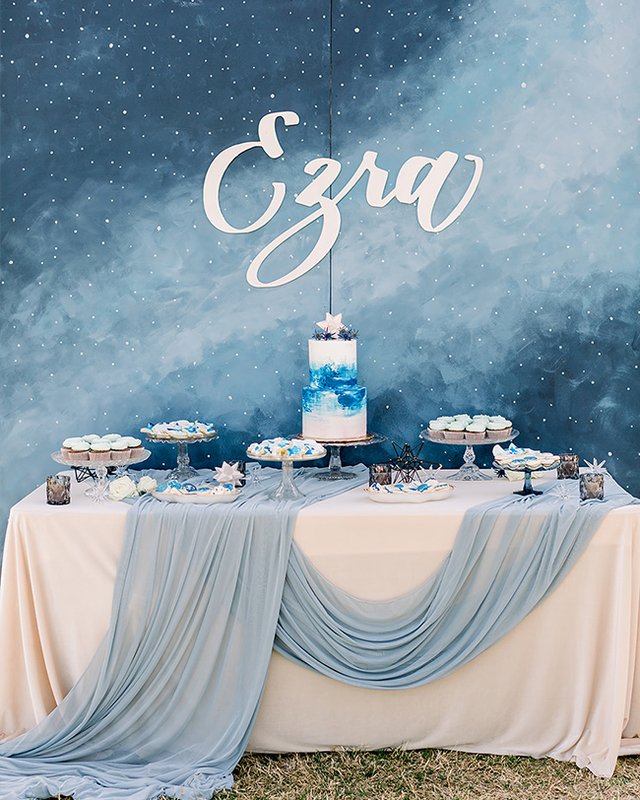 Some of our favorite from this celebration include the starry-night reminiscent dessert backdrop, that expecting mother’s beautiful blue dress, and the incredible farm venue! 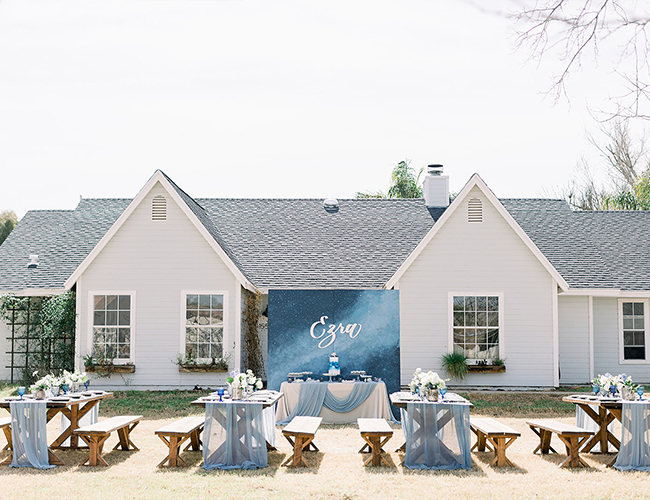 This baby shower was to honor one of the owners of The Confetti Studio, Sharmaine as she welcomes a new baby boy! 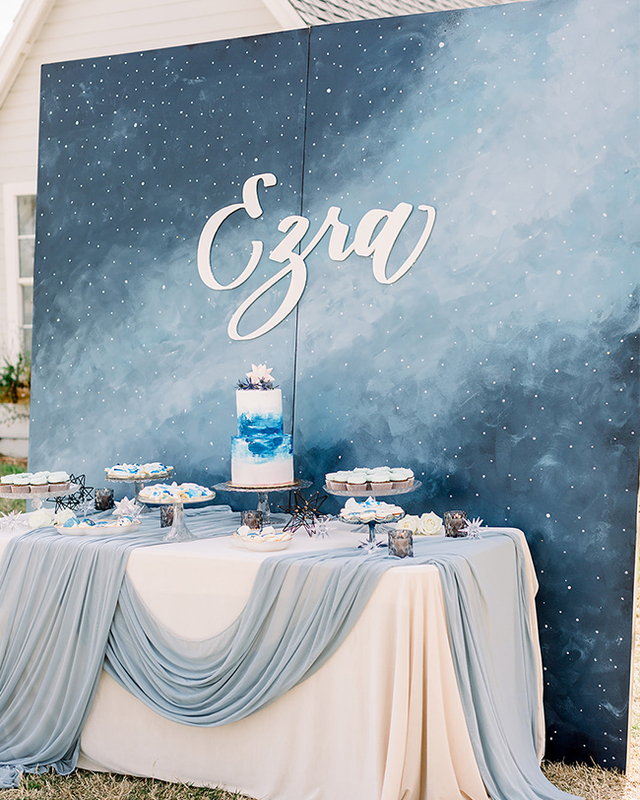 Inspired by her eldest son’s love of the song, Twinkle Twinkle Little Star, we threw her a galaxy/star themed baby shower at Love Story Films farm. 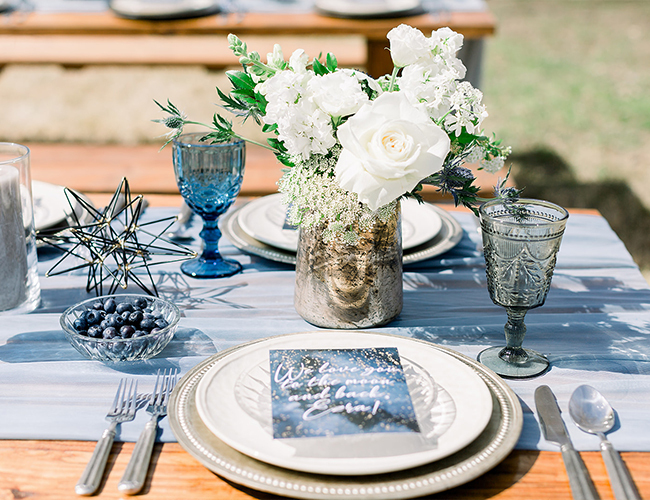 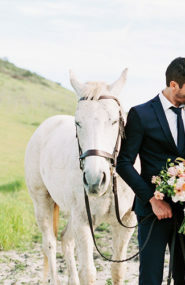 The florals designed by The Wildflower AZ were lush white flowers with blue star-like thistles. 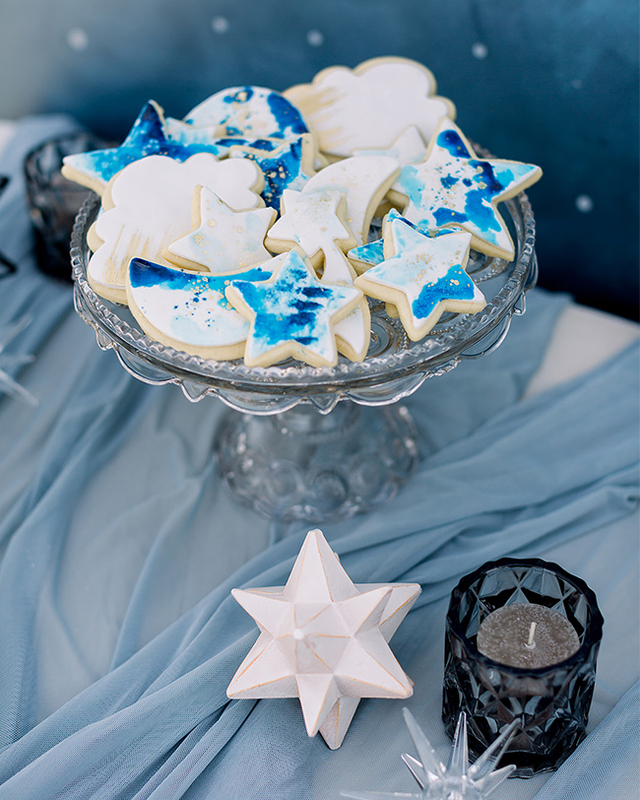 Desserts included a galaxy painted cake, star and moon shaped cookies, and macarons representing the different moon phases. 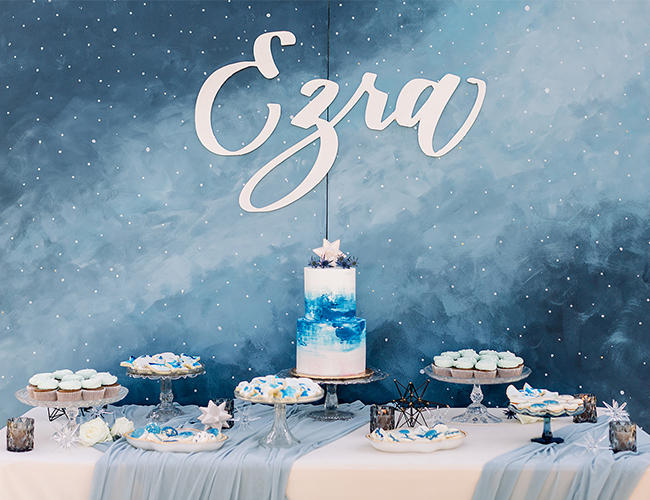 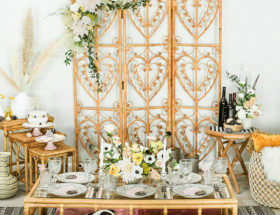 The dessert table backdrop was hand painted by Sharmaine’s sister, Tara, who is the other half of The Confetti Studio. 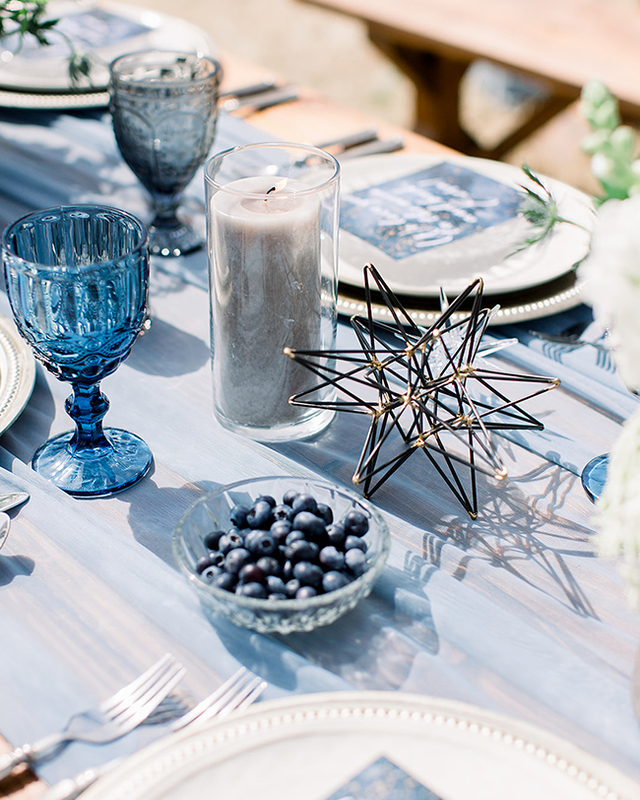 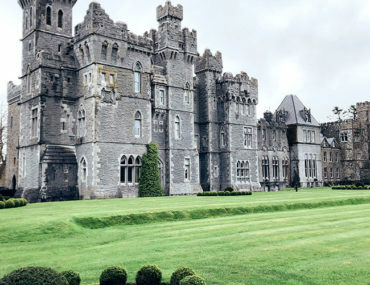 The tablescapes were adorned with star shaped objects, hand dyed runners, and tableware from their company’s inventory.